Sunday Movie Matinee what's your favorite Central Ohio Theater? What’s your favorite Central Ohio Theater? 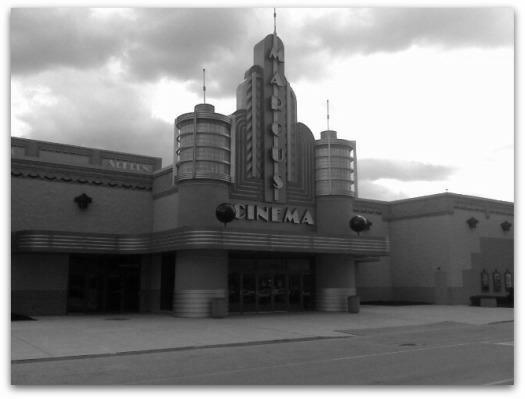 #272 of ’365 Things to do in Columbus Ohio’ is a movie at Crosswoods Marcus Cinema or Rave at Polaris or at Lennox Town Center or Dublin Village Center or Easton or Carriage Place or Arena Grand or the Drexel. …Or am I missing a bunch of Central Ohio movie theater? What’s your favorite Central Ohio theater? There is a link to a poll about that below. For most people probably whatever theater is closest to home. We saw ‘True Grit’ at a Sunday matinee two weeks ago and ‘The Fighter’ last Sunday at Crosswoods. I love movies in the dead of winter. I wish we were seeing a movie today but that would be pushing it. I agree, crosswoods is a great theatre to see a flick! I myself cannot wait until spring and enjoy a great outdoor movie in the comfort of my backyard!